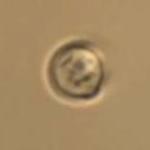 This video shows the trapping of yeast cell using NanoTracker optical tweezers from JPK instruments. 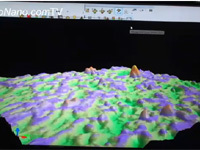 This video from Carl Zeiss shows the AFM system, which is ready in a matter of minutes to provide atomic surface topographical resolution in 3D. This video from Carl Zeiss shows how the 2-day old zebrafish was imaged from four angles and then reconstructed by employing Multiview registration and fusion software. The fish expresses Tg (Bactin:H2A-mCherry) in the nuclei. The green channel represents autofluorescence. In this video Mark Dixon, NMR Product Marketing Manager from Thermo Scientific introduces picoSpin 80 NMR Spectrometer. 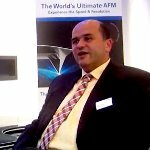 This video shows the ScanAsyst atomic force microscopy (AFM) imaging mode with automatic image optimization technology for use in Bruker’s premium AFM microscopes. 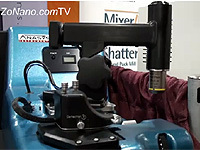 This video demonstrates the scratch testing capability of the IBIS Nanoindentation System from Fischer-Cripps Laboratories. IBIS is a precision nanoindentation tester offering traceable calibration, robust design, closed loop operation, solid theoretical base, and unmatched accuracy, reliability and price. The instrument is compatible with ISO14577. A range of models is available to suit budget constraints. This video provides an overview and tutorial of NaioSTM, the all-in-one STM for easy entry into the world of atoms. The NaioSTM system comes with a transport case that holds the software, tool set, power supply cables, and NaioSTM on its vibration isolation table with an integrated controller. 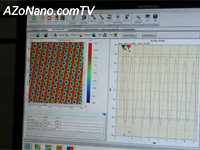 This video shows the example of single cell force spectroscopy experiment using FluidFM from NanoSurf. 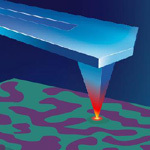 Video demonstration by AIST-NT on AFM High Speed Scanning at 70Hz. Applied NanoFluorescence, LLC President, Dr. R. Bruce Weisman talks about his award-winning nanotechnology instrumentation company. This video shows the typical topographic images of DPPC/DOPC (dipalmitoylphosphatidylcholine/dioleoylphosphatidylcholine) supported lipid bilayers. 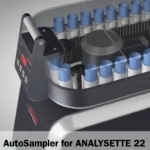 This autosampler from Fritsch allows automation of multiple measurements with the Analysette 22 Particle Sizer. 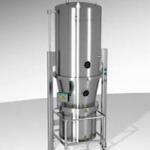 It can hold up to 26 40ml containers, and features fully automatic rinsing and cleaning as well as sample feeding. 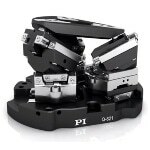 This video features the Q-821 Q-Motion® Miniature SpaceFAB Robot from Physik Instrumente (PI). 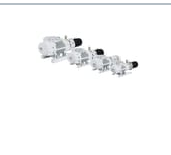 Equipped with Piezo-Motorized Inertia Drive, the Q-821 is a compact six-axis microrobotics system with a 1 nm sensor resolution. This video shows the binding of Immunoglobulin G (IgG) protein molecules to BS3 adhering to the surface of an optical chip and the subsequent binding of another protein to the antigen binding sites on the arms of each IgG molecule. This is an excerpt from a video that iemedia solutions produced for the Scientific Instrumentation Division of the Farfield Group to illustrate the measurement capabilities of their Dual Polarisation Interferometry technology. 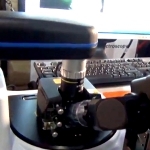 A video clip showing the use of the latest light microscope, the nanoscope, which has many applications in nanomaterials and studies within biological systems. Sample can be viewed as small as 100nm with high resolution. 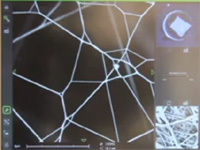 The nanoscope allows the ability to visuallize the structure and shape of the material even if cannot be seen. 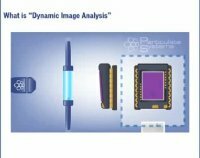 This video presentation from Micromeritics describes the analysis of irregular shaped particles using the Particle Insight dynamic image analyzer from Particulate Systems. This video demonstrates the main features of Nanosurf's CoreAFM, and gives a brief tutorial on how to perform a measurement using CoreAFM system. The tutorial explains about mounting a cantilever, preparing samples, and carrying out a measurement. Video demonstration by AIST-NT showing AFM scanning speed is being changed from 10Hz to 60Hz without any loss of quality! This video shows the consecutive AFM (atomic force microscopy) height images (image size = 3µm; z-scale = 3.2nm) of the lipid bilayer captured at 0.5 f/s with 20x50 frames using TappingMode and Dimension FastScan Bio AFM from Bruker Nano Surfaces. Asylum Research introduced the Cypher AFM two years ago. 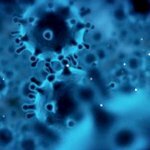 They have now added a new technique called Electrochemical Strain Microscopy to its list of capabilities. Sergei Kalinin from Oak Ridge National Laboratory explains how this technique can be used to characterize electrochemical phenomena at the nanoscale and Roger Proksch from Asylum Research demonstrates how the system produces data and its relevance to the field of battery materials. This video provides an overview of the features and handling of the NaioAFM system. 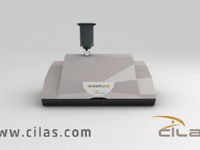 Nanosurf's NaioAFM is a compact atomic force microscope developed for nanoeducation and small sample measurements. The NaioAFM is easy-to use, has a small footprint, and comes with a price tag that fits all budgets. 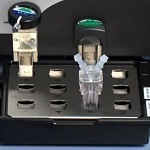 This video shows Zetasizer Nano ZSP, a high-performance system in the Zetasizer range from Malvern Panalytical. 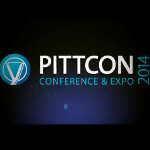 Why should you exhibit at Pittcon 2014? 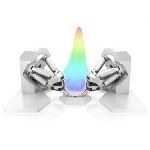 This new exhibitor video will tell you what to expect from next year's Pittcon event in Chicago, Illinois, March 2-6 2014. 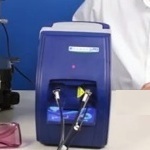 This video demonstrates the Zetasizer Nano series from Malvern Panalytical. The Zetasizer Nano can measure the molecular weight, the particle size and the zeta potential of a sample. It is widely used in characterizing nanoparticles and biomolecules. 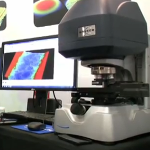 This video shows the NanoSight NTA software analyzing a 100nm Polystyrene sample. 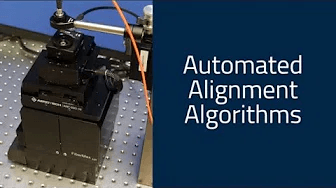 This video shows PI Solutions developed for photonics alignment/fiber alignment. PI offers a range of solutions for photonics and fiber alignment applications. The systems provide multi-channel alignment and offer fast alignment times. This video shows the time-lapse AFM (atomic force microscopy) images of DOPC/DPPC (dioleoylphosphatidylcholine/dipalmitoylphosphatidylcholine) supported planar lipid bilayers. On May 22nd 2013 - AZo.TV attended the Tribology and Mechanical Testing Workshop by Bruker Nano-Surfaces at the University of Sheffield. 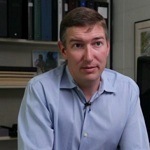 Taking part in workshops and seminars with such experts as Steve Shaffer, PhD - senior applications scientist. Eric Rufe from Bruker Nano Surfaces shows us their ContourGT-X8 optical profiler. 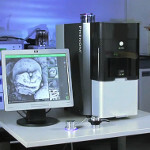 It is effectively a 3-dimensional microscope and features the 10th generation of this technology. 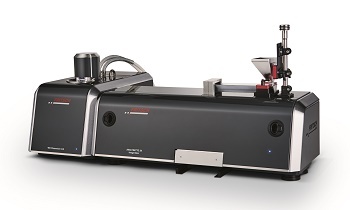 The Innova-IRIS system integrates a high-stability AFM platform with a top-of-the-line Raman spectrometer, allowing chemical or crystallographic information to be correlated with AFM topography. 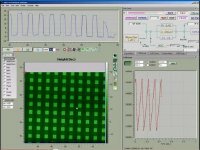 This video demonstrates INCAMineral software from Oxford Instruments. INCAMineral performs mineral liberation analysis on multipurpose SEMs. 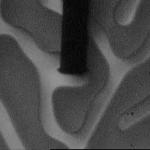 This video from Carl Zeiss shows the rat embryonic fibroblast cyclic stretched on PDMS-substrate at an amplitude of 8% and at 0.5 Hz. This video demonstrates a 1 µm, 23 Hz, scan of freshly prepared Celgard with perpendicular mesh orientation using Bruker’s Dimension FastScan atomic force microscope (AFM). IBM Research scientists, in collaboration with the Center for Probing the Nanoscale at Stanford University, have demonstrated magnetic resonance imaging (MRI) with volume resolution 100 million times finer than conventional MRI. This result, published in the Proceedings of the National Academy of Sciences (PNAS), signals a significant step forward in tools for molecular biology and nanotechnology by offering the ability to study complex 3D structures at the nanoscale. This video shows a webinar on SBF-SEM - Serial Block Face 3D imaging in the FE-SEM with 3View technology by Carl Zeiss Microscopy and Gatan. Jim Flach, Director of European Sales at Bruker Nano Surfaces, talks to AZo.TV about the new European Applications Center in Karlsruhe. This video shows how Malvern Panalytical Morphologi G3-ID instrument uses libraries from known candidate materials for chemical differentiation between particles. This video from Carl Zeiss shows the benefits of utilizing the first light sheet microscope system designed to capture fluorescently labeled live embryos. This video shows the versatile W130i from Avid Nano, a high sensitivity dynamic light scattering system for size and molecular weight measurement of proteins, bio-molecules and sub-micron particles. This video presentation discusses about the powerful diversity of the AFM (atomic force microscopy) probe from Bruker Nano Surfaces. This novel competition pitted representatives from 4 countries against one another in The World Championship of Nanoparticle Counting in which each combatant raced to count 100 nanoparticles using a qNano from Izon. 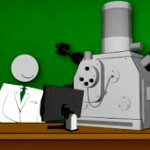 An education video on Mass Spectrometry (MS) using a magnetic sector instrument from the Royal Society of Chemistry. From the Modern Instrumental Techniques for schools and colleges DVD. 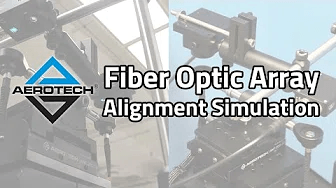 Using Aerotech's A3200 controller, users are able to automatically align multichannel optical devices for assembly. This video presentation highlights the basic setup and applications of the ASME and ISO filtering methods (ASME B46.1 and ISO 4287, 4288) that are related to Bruker's stylus profilers. 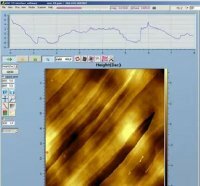 This video features a presentation by Bruker that discusses the recent advances and applications of the electrochemical atomic force microscopy (AFM) techniques. This seminar video from Bruker provides an overview of important tribological considerations such as contact stresses, material compatibility, surface roughness, etc. required for designing or manufacturing products, or designing of tribology experiments. A clever new microscope design allows nanotechnology researchers at the National Institute of Standards and Technology (NIST) to track the motions of nanoparticles in solution as they dart around in three dimensions. 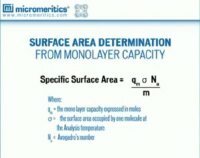 Last part of a 3 part webinar by Micromeritics on physical adsorption. Physical adsorption is a technique used to characterize the surface and pore features of solids, that is, the materials texture. The adsorption isotherm generated by the Physical Adsorption technique enables one to characterize a solids' texture by determining its surface area, porosity, and total pore volume. 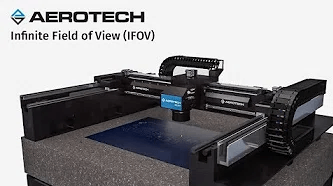 This video demonstrates creep testing using the closed loop force feedback capability of the IBIS Nanoindentation System from Fischer-Cripps Laboratories. This video describes the Nano Letters paper on the high speed atomic force miscroscopy (AFM) imaging and mechanical mapping of purple-membrane (bacteriorhodopsin) with Bruker’s Dimension FastScan and ultra low amplitude Peak Force Tapping. 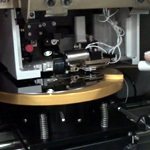 This video demonstrates the multiple frequency dynamic capability of the IBIS Nanoindentation System from Fischer-Cripps Laboratories using an elastic plastic contact for loading and unloading of a conical indenter. Dr. Steven Oldenburg of nanoComposix speaks to why he selected the C-Therm TCi for his thermal conductivity testing needs at zero gravity on-board a NASA aircraft. This video shows the deposition of liposomes on to the surface of an optical chip and their subsequent rupture and merger to form a lipid bilayer. Protein molecules then embed and float in the surface of the bilayer. This is an excerpt from a video that iemedia solutions produced for the Scientific Instrumentation Division of the Farfield Group to illustrate the measurement capabilities of their Dual Polarisation Interferometry technology. This video presentation covers the basics of scanning thermal microscopy, a scanning probe-based measurement technique for mapping thermal properties of samples. SThM enables the measurement of temperature, thermal conductivity, heat capacity, and other thermodynamic measurements with nanoscale resolution. This exclusive video features a presentation about the latest advances in atomic force microscopy (AFM)-based nanoscale thermal analysis. Quantitative nanoscale property information of polymer-based samples with statistically meaningful sampling can be provided using the AFM. This great webinar by Professor Alexander Kotlyar from Tel Aviv University discusses the use of AFM techniques to analyze the structure of DNA and related structures. Tony Fischer-Cripps explains what nanoindentation is and shows us the IBIS Nanoindentation system. During the explanation of the technique he also talks about typical applications such as testing of coatings, scratch testing, mineral analysis and semiconductor testing. It can determine such properties as friction co-efficients, Young's modulus and properties of thin films. The Analysette 28 ImageSizer from Fritsch is capable of rapid measurement of particle shape and size across a wide measurement range. 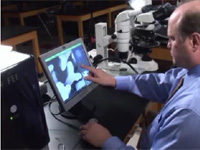 The compact size and ease of use have enabled staff at NCSU to take the FEI Phenom personal electron microscope out of the dedicated research labs and bring it into the teaching environment. 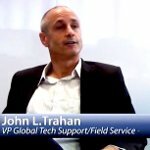 John L. Trahan, VP of Global Technical Support for Bruker Nano Surfaces talks to AZo.TV about the new European Customer Care Center in Karlsruhe, Germany. This video shows the high speed performance of the atomic force microscope (AFM) from Bruker on the three qualification samples. 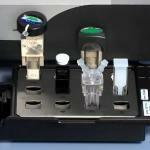 The tip-check, Celgard and calibration grating are the three standard samples. Lawrence Berkeley National Labs just turned on a $27 million electron microscope. Its ability to make images to a resolution of half the width of a hydrogen atom makes it the most powerful microscope in the world. In this video Dr. Jana Bergholtz, Application Scientist EDS, Bruker Nano talks about the new variety of choice in instrumentation by expanding its portfolio of high-performance analytical tools for materials characterization in electron microscopes. 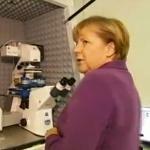 This video from JPK Instruments shows Chancellor Angela Merkel visit to the Max-Delbrück-Center for molecular medicine in Berlin. This video shows Scott Ellis, Marketing Manager for Molecular Spectroscopy at Thermo Scientific describes about the new Thermo Scientific iXR Raman Spectrometer that helps material scientists and engineers to accelerate their understanding of new materials. This video shows a special anniversary section of PerkinElmer. The company celebrates the 75th year of the PerkinElmer brand. This short video shows how the Nanosight NS500 system can be used to image and size viruses in real time with no sample preparation. Measurements can also be verified by video footage, taking only minutes to complete. This video shows how the high resolution Bruker D8 Discover X-ray diffractometer is used for thin film analysis. Unlike many particle sizing techniques, electrical sensing zone (Coulter principle) data are unaffected by samples composed of particles having an assortment of optical properties, densities, and shapes. Size distribution is determined by analyzing, one at a time, each particle from a representative subset of the introduced sample quantity. Dr Mark Munch, President of Bruker Nano Surfaces, talks to Will Soutter about the challenges and opportunities for AFM research at the Seeing at the Nanoscale event in Bristol. AZo.TV visited the Bruker Nano Surfaces headquarters in Karlsruhe, Germany, for the grand opening of their new European Customer Care Centre and Application Centre. 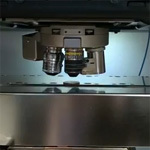 High-speed scanning of a Celgard sample. This video from Carl Zeiss shows a 3D representation of reconstructed Multiview recordings of a Drosophila embryo expressing fluorescently tagged BAC clone (GFP). Chris Orsulak from Bruker shows us the ContourGT Optical Profiler, which is a white light interferometric optical profiler. He indicates the main features of the system and briefly explains the operating principal. He also demonstrates how fast the system can take produce results and how the new AcuityXR measurement mode (introduced at the 2010 MRS Fall Meeting) can produce improved results due to the increased lateral resolution. This video illustrates a 180 nm, 30 µm, 11 Hz, scan of diffraction grating taken with Bruker’s Dimension FastScan atomic force microscope (AFM). 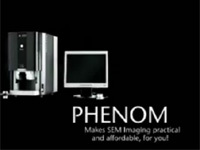 The Phenom desktop SEM combines superb imaging power up to 100,000x and outstanding technical performance with better depth of focus and chemical contrast. 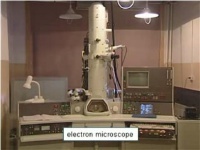 A video showing the structure and function of the transmission electron microscope. It details all the different compartments of the transmission electron microscope and the theory and principle of the transmission electron microscope generate its images of various samples. A very detail and precise demonstration. An example of a process analytical technology tool used in the pharmaceutical industry for real-time monitoring of powder blending. C-Therm's effusivity technology is easily retrofitted on different pharmaceutical processing equipment and has numerous applications in monitoring homogeneity, endpoint determination in drying, granulation, and roller compaction. Efffusivity is a triply sensitive thermophysical measurement and offers a powerful PAT tool to powder-processing industries. 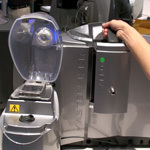 This video shows the advanced Correlative Particle Analyzer from Carl Zeiss. The FEI Phenom personal electron microscope has been designed to minimize the effects of sample charging in the electron microscope and produce optimal images from non-conductive samples. Reasons why charging occurs are outlined, as are techniques to avoid it. In this interview the importance of particle size and morphology to a range of industries is explained. Traditionally, you would need a particle size analyzer and a scanning electron microscope to determine the particle size distribution and morphology respectively. However, now, the FEI Phenom personal electron microscope combined with off the shelf software is able to accomplish both these tasks. 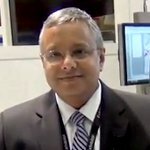 Dr Mohan Ananth, Senior Director of Marketing and Product Management with Carl Zeiss Microscopy, gives us an overview of the new ORION NanoFab product. This video shows Bovine Serum Albumin (BSA) molecules binding to BS3 molecules adhering to the surface of an optical chip. The BSA molecules then undergo a conformational change as the pH of the perfusate changes from acid to alkaline. 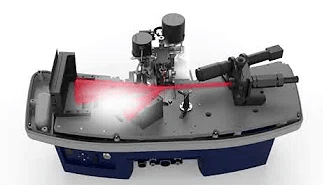 This is an excerpt from a video that iemedia solutions produced for the Scientific Instrumentation Division of the Farfield Group to illustrate the measurement capabilities of their Dual Polarisation Interferometry technology. Listen to Dr. Pradeep Rai speak on why Vertec Polymers chose the TCi Thermal Conductivity Analyzer from C-Therm for their thermal conductivity testing and characterization. 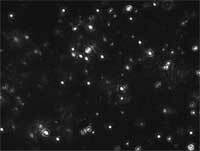 100+200nm polystyrene particles moving under Brownian motion as seen by the NanoSight LM20. Video demonstration of MagicScan Technology by AIST-NT. AFM image of Test Grating (3 microns pitch, 25 nm height), semicontact AFM mode, probe resonance frequency - 500 kHz, 30x30 microns scan area, 400x400 points. Scan rate increases from 2 to 20 lines per second. See the C-Therm ESP (Effusivity Sensor Package) operating on a ServoLift Tumble Blender as a PAT tool for the pharmaceutical and powder-processing industries. C-Therm offers a range of applications in Process Analytical Technology for the endpoint determination in blending, lubrication, moisture content (powder drying), granulation and roller compaction. Microtrac’s synchronous size and shape analyzer, Sync, integrates the world’s leading laser diffraction technology with the world’s leading dynamic image analysis technology. 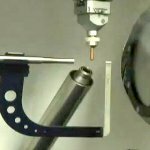 These videos demonstrate the speed and simplicity of the process of mounting and unmounting crystals with the Rigaku ScreenMachine. This video shows the clear polydispersity of titanium dioxide (TiO2) in water using NS500 instrument from NanoSight. 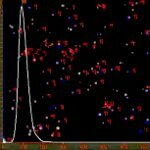 This video shows the visualization of the light scattered by nanoparticles using NS500 and NTA software from Nanosight. 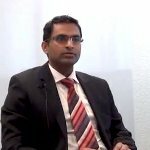 Venkata Reddy Mukku, Service Manager for Europe, the Middle East and Africa at Bruker Nano Surfaces, talks to AZo.TV about the new European Customer Care Center in Karlsruhe. IBM Fellow Don Eigler gives a tour of the Scanning Tunneling Microscope lab, often called the "Kitty Hawk of nanotechnology." It was in this lab where, in 1989, Eigler was the first person ever to position individual atoms, spelling out IBM in xenon atoms. 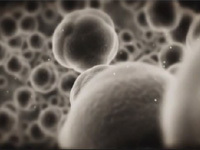 This video from Carl Zeiss shows a 20x magnification phase contrast of HeLa cells. Bryan Crawford from Nanomechanics gives AZoTV a run down of the capabilities of Nanomechanics' Analytical Services Laboratory at MRS Fall 2012 in Boston. Reductions in production yields for semiconductor manufactures can be costly. Finding the defects to rectify the process and improve yields is a time consuming and expensive business, where samples must be repeatedly processed by mechanical or chemical means and then examined each time to see if the defect is in the examination area. 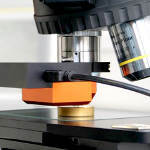 Examinations were carried out using optical microscopes, but as these defects got smaller and smaller high resolution instruments were required. The FEI Phenom personal electron microscope now offers the optimal alternative, with rapid sample analysis, small size and reasonable price. 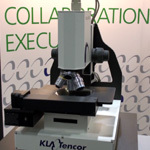 Jim Zobel from KLA Tencor demonstrates their MicroXAM 100 surface profilometer and white light optical interferometer. The MicroXam 100 features fast data acquisition rates that enable calculation of such things as surface roughness, step heights and other surface features. This video produced by Merkator for RUSNANO shows the medical technology for cascade filtration of blood plasma. 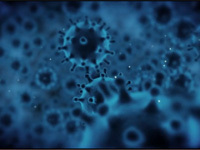 Plasma cascade filtration is a high-tech method of cleansing blood, which makes it possible to selectively remove only viruses and harmful proteins. This webinar from Nano Surfaces Division, Bruker, examines the applications of co-localized atomic force microscopy (AFM) and Raman spectroscopy. It also covers the tip enhanced Raman scattering (TERS). 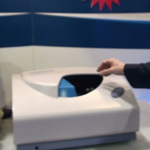 This video shows high performance Micro-XRF spectrometer from Bruker. The M4 TORNADO is very versatile instrument. 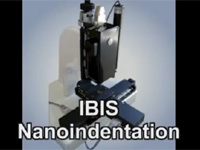 The technology and capabilities of the IBIS Nanoindentation system from Fischer-Cripps Laboratories is reviewed in this short video. Brian Crawford shows us the P-6 Profilometer by KLA Tencor and demonstrates its operation. 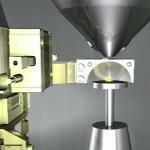 The instrument features a 156mm sample stage that is motorized to move in x and y axes as well as rotation. 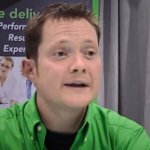 This video demonstrates the use and benefits of portable Raman spectroscopy in measuring a wide range of samples. It also explains the different sampling accessories used in the spectroscopy. This video demonstrates complete energy dispersive spectroscopy analysis in 30 seconds using AztecEnergy from Oxford Instruments Nanoanalysis. AztecEnergy delivers correct results within few seconds in the MiniQuant viewer. The accurate results can be emailed directly from Aztec interface. This video from Herzan shows the in-vitro fertilization with jackhammer noise in a micropipette at an IVG clinic. This wet dispersion unit from Fritsch is suited for particle size measurements in organic solvents - less than 50ml of liquid is required for a full measurement circuit. Measurement, rinsing and cleaning are automated and SOP-controlled. This video from Bruker illustrates the working principle of the Dimension FastScan atomic force microscope (AFM) with ScanAsyst and unattended high-speed imaging on a variety of samples. 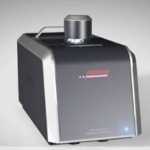 This video shows Parsum, an in-line particle size analyzer from Malvern Panalytical that measures particle size of powders, liquids and sprays accurately and reliably. 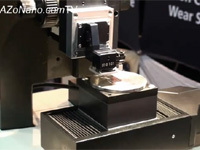 This video introduces the IBIS Nanoindentation System from Fischer-Cripps Laboratories by demonstrating a typical test on a silicon wafer. The video shows actual use of the software and the instrument. This video shows a 7 min, end-to-end demonstration of energy dispersive spectroscopy analysis performed using AZtecEnergy from Oxford Instruments. AZtecEnergy is a flexible and powerful EDS system offering rapid, accurate and high resolution results. 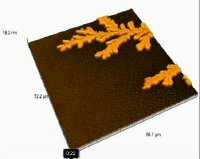 This video presentation from Bruker Nano Surfaces shows the possible AFM (atomic force microscopy) modes and their nanomedicine applications. 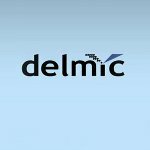 This video shows Delmic's SECOM Platform which allows optical and electron microscopy in one device. This video presentation from Bruker explains different scratch tests performed on the coatings for determining the adhesion properties. David Lewis from Nanonics Imaging Ltd shows us their Multiview Series of AFM/Raman systems that can be supplied with Renishaw or Horiba Raman systems. Nanonics can also supply the Multiview systems as upgrades to existing Raman systems of total systems. 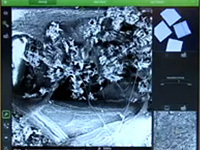 Video demonstration by AIST-NT on basic operations of AFM image processing. This animated video gives an introduction to the InSEM from Nanomechanics, for in-situ mechanical measurements inSEM & FIB/SEM. The Total Release method for FIB lift-out from Omniprobe has many distinct features for high-throughput TEM sample preparation. This method needs a minimal ion milling for sample excise and transports the sample safely and reliably. 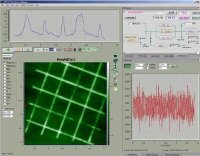 Video demonstration by AIST-NT showing how to adjust AFM feedback parameters. 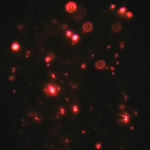 This video shows the aggregation of 60nm gold colloid as seen through the NanoSight LM20. 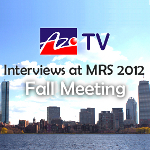 This playlist contains all of AZoTV's interviews with exhibitors at the MRS Fall Meeting 2012 at the Hynes Convention Center in Boston, Massachusetts. 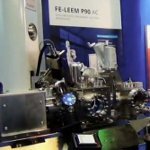 These videos give a fantastic overview of the impressive array of equipment on show at the exhibit from some of the top names in materials science. 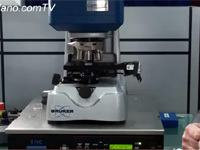 This video shows the ContourGT-K 3D optical microscope for high resolution surface metrology from Bruker Nano Surfaces. The ContourGT-K uses white light interferometry to determine surface topography from nanometer-scale roughness through millimeter-scale steps, with sub-nanometer resolution. 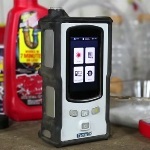 This video shows B&W Tek’s TacticID handheld spectral analysis instrument that delivers latest technology for identifying chemicals, explosives, and narcotics in the palm of your hand. 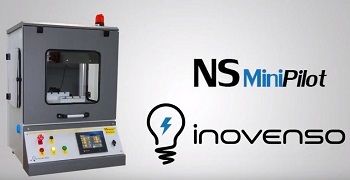 This video shows the operation of Nanospider Production Line NS 1WS500U from Elmarco. 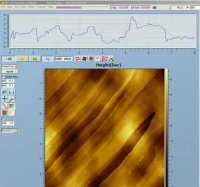 This video shows the benefits of the NanoWizard®II atomic force microscope (AFM) from JPK Instruments. Aerotech's Infinite Field of View software feature solves these problems without compromising on field-of-view OR spot size. Kevin Kjoller from Anasys Instruments shows us their NanoIR system which is a unique instrument that combines AFM and IR Spectroscopy. Kevin explains how the system works, how they have been able to integrate an atomic force microscope and infrared spectroscope to provide topographical, mechanical, thermal and chemical information. This video shows Thomas Mueller of Bruker Nano Surfaces introducing the Innova-IRIS system for correlated atomic force microscopy and Raman spectroscopic imaging at the Nanoscale 2012 conference in Bristol, UK. This video from Carl Zeiss shows how the optical contrasting methods and information about colour, size and morphology obtained by the light microscope can be combined with the analytical methods of the electron microscope. This video shows a cathodoluminescence imaging SPARC system from Delmic for the study of nano- and micro-photonic structures that offers unsurpassed sensitivity, control and versatility. The Zetasizer Nano ZSP is the premium system in the Zetasizer range. It is used for the measurement of size, electrophoretic mobility of proteins, zeta potential of nanoparticles and surfaces, and optionally the microrheology of protein and polymer solutions. The exceptional performance also enables the measurement of the molecular weight and second virial coefficient, A2, of macromolecules and kD, the DLS interaction parameter. 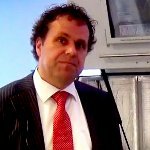 In this video Sander den Hoedt from Delmic talks about the SECOM Platform. 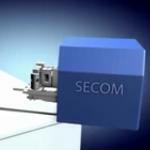 The SECOM platform is a device that integrates a fluorescence microscope with a scanning electron microscope (SEM). This video from Carl Zeiss shows a 10x magnification phase contrast of HeLa cells. 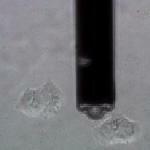 This video shows the rupture of red blood cell (RBC) using optical tweezers from JPK Instruments. 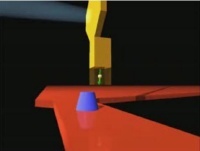 A RBC is captured between two traps, 'Force Spectroscopy' mode of the NanoTracker optical tweezers are used to tear the cell into two parts. 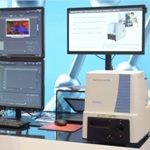 In this video, Samual Lesko, European Applications Lab Manager at Bruker Nano Surfaces, illustrates the ultimate performance of the Dimension FastScan atomic force microscope (AFM) at Nanoscale 2012 conference. 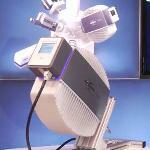 This video shows the high-tech AURIGA Compact FIB-SEM. Users can leverage the Carl Zeiss CrossBeam technology and blend high resolution imaging with the milling performance of the focused ion beam. This video shows Carl Zeiss’ Axio Scan.Z1 Digital Slide Scanner, which provides a fast, reliable and reproducible way to produce virtual slides of high quality. Cilas SafeAir monitor nanoparticles environment real time workers exposure potentially harmful nanoparticles release of nanoparticles atmosphere environment manufacturing operation. The Phenom from FEI is a high resolution desktop imaging tool with an optical camera for never-lost navigation and a high quality electron microscope for detailed imaging. Its innovative user interface and intuitive touch screen control produce superb quality images with minimal operator training. 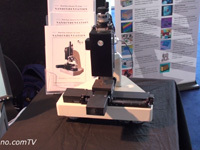 The video presentation perfectly illustrates the ease of use with young school children being given the chance to operate the microscope themselves and investigate the world of the supersmall. Jared Lapkovsky from Delong America shows us the LVEM5, which is the only benchtop TEM on the market. 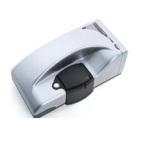 Further increasing its versatility, it can also be used as a benchtop FE-SEM, an STM and an optical microscope. The user can easily access each modes using the software. 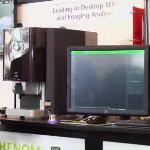 In this video, Emile Asselbergs, CEO Phenom World talks about the Phenom pro X Desktop SEM from Phenom-World BV at Pittcon 2013. Cantiliver Tip used to Map Magnetic Regions of Garnet Film. 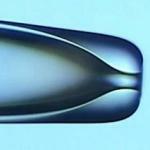 The cantilever tip is coated with a magnetic strip and is being used to locate the the magnetic region of the garnet film. Video demonstration by AIST-NT on AFM image processing using FFT method. 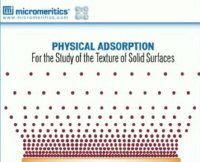 Part 2 of a 3 part webinar by Micromeritics on physical adsorption. Physical adsorption is a technique used to characterize the surface and pore features of solids, that is, the materials texture. The adsorption isotherm generated by the Physical Adsorption technique enables one to characterize a solids' texture by determining its surface area, porosity, and total pore volume. This video illustrates the general working principle of the Cytomass Monitor that measures and monitors the mass of living cells in real time. Fibre analysis is of use to many industries such as the filtration industry. Previously it was carried out using a light microscopes. Smaller fibres required higher resolution instruments for accurate analysis. The FEI Phenom personal electron microscope provides the ideal alternative proving the required resolution at a fraction of the cost of a traditional scanning electron microscope (SEM), as well as offering faster analysis and ease of operation. Nicholas Randall from CSM Instruments introduces us to their latest nanotribometer which is a compact desktop model featuring improved applied load and tangential force sensors. It is suited to study tribology at the nanoscale. This video introduces the Morphologi G3-ID particle characterisation system from Malvern Panalytical. 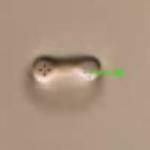 This video shows the details of water droplets bouncing on superhydrophobic surfaces that are captured using a high-speed camera setup in GE Global Research's Nanotechnology lab. Micromeritics Analytical Services - The Particle Testing Authority specializes in the characterization of fine powders and solid materials. Specifically we are experienced in providing particle size analysis, surface area and gas adsorption services, pore size and pore volume measurements, density determinations, and chemical adsorption services. We are a DEA-licensed, FDA-registered, cGMP/GLP-compliant contract analytical laboratory. 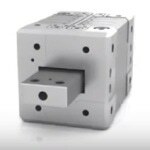 This video shows the NEXLINE® PiezoWalk® motors, which offer high forces and nanometer precision motion with multiple operating modes. The multiple operating modes deliver optimized performance for speed, force, and holding force. 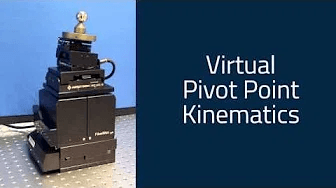 Using analog voltage feedback, the controller monitors power levels and associates them with a specific position, and sets the final position of the motion at the highest power point based on user-defined parameters. An informative discussion on the new RJ Lee Group thermophorphic sampler (TPS) by Colorado State University Associate Professor Dr. John Volckens. Nanosight's Nanoparticle Tracking Analysis technology can be used to characterize viral particles in vaccines. The development of the modified transient plane source technique by C-Therm Technologies (formerly Mathis Instruments) represents a paradigm shift in thermal measurement. The technology is capable of rapidly testing a wide range of materials in measuring thermal conductivity and effusivity (thermal inertia). With virtually no restrictions on sample size, C-Therm's sensor technology allows thermal testing of materials not previously possible. For the first time, deep sub-diffraction-limit Tip Enhanced Raman (TERS) imaging has been demonstrated at a speed comparable to that of high-quality AFM imaging. 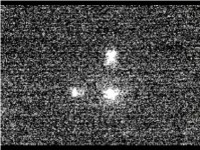 The video clips shows 10nm silver particles moving under Brownian motion as seen by the NanoSight LM20. The technique looks at the rate of Brownian motion and relates the speed of movement to particle size with smaller particles having a more exaggerated Brownian motion. This video presentation from Bruker discusses the benefits and applications of AFMs in determining the local elastic properties of polystyrene and polyurethane polymers at the nanoscale. Ross Smith from Bruker introduces us to the easy to operate Contour GT Optical/Surface Profilers. 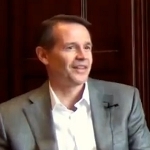 At 2010 MRS Fall Meeting, where this interview was recorded, Bruker introduced AcuityXR which is a revolutionary new measurement mode from Bruker which combines both hardware and software to provide resolution beyond the diffraction limit, effectively allowing imaging of features down to 130nm. This video shows the B&W Tek employees performing the ice bucket challenge to raise awareness for ALS and also to motivate other people to do their part for some other causes as well. This video shows the characterization by the Sarfus technique of real-time crystallisation of 3nm-polyethylene oxyde (PEO, Mw 4kD) spin- coated on a standard Surf. 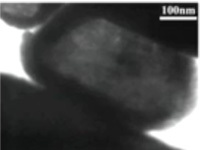 At room temperature, crystallites are nucleating and growing progressively into a dendritic structure. 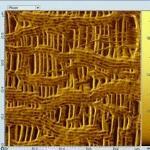 Their average thicknesses (3 nanometer) are measured using 3D Sarfus plug-in. 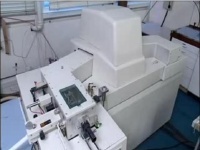 Bruker's UMT Universal Mechanical Tester. 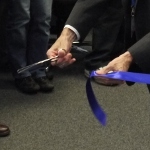 The UMT is the "complete tribology lab" and provides macro, micro and nanoscale tests under real-world conditions. Talking to Bruker's Steve Shaffer and University of Sheffield's Mark Rainforth, they discuss the ease of use and the typical applications of the UMT. This video shows a 2 µm x 2 µm, 512 pixel x 512 pixel image of Polysilicon obtained using Bruker’s Dimension FastScan atomic force microscope (AFM). 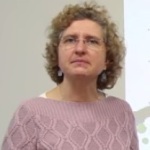 This presentation discusses the latest advancements in Bruker’s atomic force microscopy (AFM) modes, techniques and technology for novel microbiological research. This video from Carl Zeiss shows a contextual imaging tool called SmartBrowse, which can be used for post-image acquisition. The tool can present images taken with numerous detectors at varied magnifications in a single, interactive image. 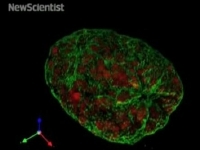 This video shows the ScanAsyst atomic force microscopy (AFM) imaging mode from Bruker AXS. The ScanAsyst is the world's first imaging mode with automatic image-optimization technology. This video from Carl Zeiss shows how the coverslip-free sample preparation for the Lightsheet Z.1 fluorescence microscope provides a distinct prospect of viewing the sample from any angle. Klaus Pross, Sales manager for Germany, Austria and Switzerland at Bruker Nano Surfaces talks to AZo.TV about the new European Application Center in Karlsruhe. This video demonstrates alcohol measurement using a Raman spectrometer and also describes various real-life scenarios in which the spectrometer can be used to ensure safe consumption of alcohol. Pittcon is the world's largest annual conference for laboratory science. 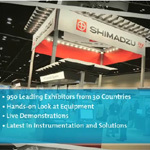 The 2012 event will attract over 950 equipment manufacturers, distributors and service providers from 30 countries. The technical program will also include over 2000 sessions covering over 60 topics. In this video presentation, scientists from Bruker Nano Surfaces discuss factors that determine the speed and accuracy of surface metrology and new advances in metrology solutions to address the time-to-good-data challenge. This movie was taken on the Cypher ES Environmental AFM from Asylum Instruments using blueDrive photothermal excitation. Whether you need to analyze particles or powders, materials or pharmaceuticals, the FEI Phenom personal electron microscope is a revolution in scanning electron microscopy. Combining simple sample loading, immediate imaging and automated image control, the FEI Phenom personal electron microscope makes an ideal addition to your lab. This video shows Katherine Bakeev, Director of Applications Support Service for B&W Tek, explaining the applications of Raman spectroscopy for identifying counterfeit medicines. She also describes real-life examples, where such medicines can have a major impact. This short video demonstrates how the Nanosight NS500 system visualizes and measures nanoparticles in suspension in real time, with little or no sample preparation. The NS500 is able to measure and count individual nanoparticles as well as calculating particle size distributions, with video footage to back up the measurements. 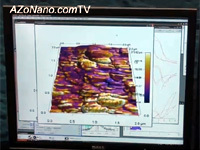 This short video from Nanosurf explains the benefits of nanoscale surface analysis with atomic force microscopy (AFM). The AZtec HKL from Oxford Instruments Nanoanalysis offers EBSD analysis with high speed and sensitivity, while the AutoCal and AutoExposure features simplifies the whole process. This video from Bruker Nano surfaces shows the phase data of lamellopodia expanding via Actin Cytoskeleton polymerization in the direction of motion. This video illustrates how microrheology measurements of proteins and polymers are taken on the Zetasizer Nano ZSP with advanced software from Malvern Panalytical. 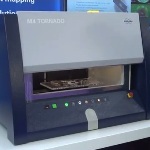 Video demonstration by C-Therm showcasing TCi Thermal Conductivity Analyzer. This video shows the exceptional performance of the Zetasizer Nano ZSP from Malvern Panalytical. This video presentation covers the basics of scanning thermal microscopy, a scanning probe-based measurement technique for mapping thermal properties of samples. SThM enables the measurement of temperature, thermal conductivity, heat capacity, and other thermodynamic measurements with nanoscale resolution. This material is copyrighted by PicoCal, Inc.
Curt Marcott from Light Light Solutions tells us how the NanoIR from Anasys Instruments has opened up new possibilities in materials characterization. Combining AFM and IR spectroscopy provides spatial resolution an order of magnitude better than conventional IR, which enables researchers to do such things as examine nanoparticles in a matrix, or analyze for compositions differences across in interface. 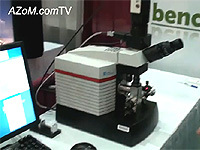 This video shows the Zetasizer µV from Malvern Panalytical at Pittcon 2011. 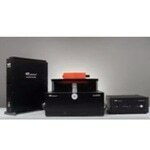 The Zetasizer µV is a highly sensitive dynamic light scattering (DLS) system for protein characterization. 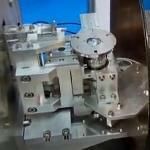 This video shows the operation of Nanospider Production Line NS 8S1600U from Elmarco. 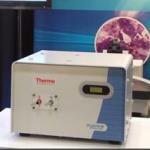 Video demonstration by C-Therm showing how to measure the thermal conductivity of liquids, solids, pastes and powders. One of many examples of how C-Therm's (formerly Mathis Instruments) innovative sensor technology is put to use. Video animation of beta prototype system for thermal effusivity online measurement of powder processing in application of endpoint determination in powder blending (homogeneity). Dr. Sang-il Park, the CEO of Park Systems shows us their XE-100 series general purpose AFMs. He explains how the use of a x-y scanner and decoupled z scanner produces very flat scans and how their system can operate in a true non-contact mode to produce accurate, high resolution images, with excellent reproducibility. The XE-100 series AFMs can be adapted to measure electrical, magnetic, mechanical and optical properties in addition to topographical properties. Scanning Ion Conductance Microscopy (SICM) technology is also explained. The dynamic image technique looks at particles in motion, providing additional critical information. Besides particle size, numerous shape parameters are obtained. As the images are taken, statistical data for all measurement parameters are calculated and recorded. 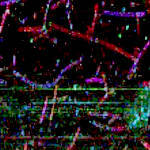 At the same time, thumbnail images of each particle are saved for post-analysis viewing and screening. 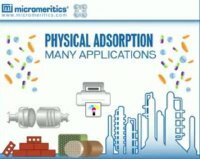 Part 1 of a 3 part webinar by Micromeritics on physical adsorption. Physical adsorption is a technique used to characterize the surface and pore features of solids, that is, the materials texture. The adsorption isotherm generated by the Physical Adsorption technique enables one to characterize a solids' texture by determining its surface area, porosity, and total pore volume. 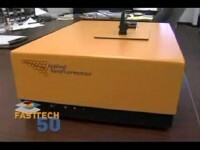 Micromeritics, founded in 1962, is celebrating its 50th anniversary. The company is a leading manufacturer and supplier of automated laboratory instruments for characterization of materials. Video demonstration by AIST-NT showing how to adjust scanner sensors. 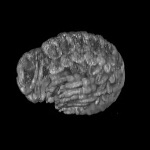 The use of high-speed scanning on a Celgard sample (15Hz). 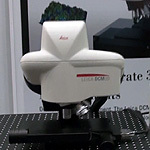 The DCM 3D surface metrology tool from Leica features a confocal microscope and interferometer with LED illumination and CCD detector. The interferometer and confocal microscope have resolutions of 0.1nm and 3.5nm respectively. This video from Carl Zeiss shows a live imaging of the marine amphipod Parhyale hawaiensis. Utilizing a state-of-the-art CCD detector containing over 3.4 million detector elements, Mie theory, and unique design and data reduction features, the Micromeritics' Saturn DigiSizer II provides an extremely high level of resolution and sensitivity not available in other laser particle sizing systems. This video shows the BioMAT™ workstation from JPK Instruments. This workstation is designed to study the opaque samples using both optical microscopy and atomic force microscopy. Direct observation of a Hysitron PI 95 Picoindenter performing a nanomechanical test on cadmium sulfide (CdS) in a transmission electron microscope (TEM). Video demonstration of MagicScan Technology by AIST-NT. AFM image of Test Grating (3 microns pitch, 25 nm height), semicontact AFM mode, probe resonance frequency - 500 kHz, 12?12 microns scan area, 300x300 points. Scan rate increases from 3 to 30 lines per second. Using the ROTATION command, a user can program offsets based on their desired rotation point and associate different axes of motion with specific rotations within the motion system. This video demonstrates the finite element analysis capability of the IBIS Nanoindentation System from Fischer-Cripps Laboratories using an elastic plastic contact for loading and unloading of a conical indenter. A short video showing how a mass spectrometer works and how it can be used to identify elements in the blood. Video demonstration by AIST-NT. Local anodic oxidation on Ti film using the vector SPM nanolithography technique. 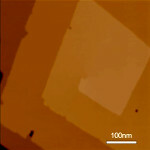 Image size 3x3 µm, line height 3 nm, 400x400 points. The scanning rate is changing from 40 Hz down to 5 Hz. This video from Carl Zeiss shows how the light sheet microscope system from Carl Zeiss captures the complete development of a Drosophila melanogaster embryo with reduced light exposure, imaging the whole embryo volume within a matter of minutes. 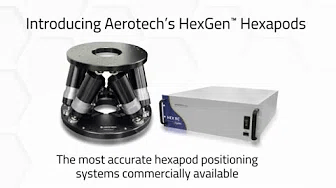 Aerotech’s HEX500-350HL hexapod is ideal for applications in x-ray diffraction, sensor testing, high-force device manipulation, synchrotron sample or optics adjustment, semiconductor manufacturing and inspection, or satellite sensor testing. Jeremy Warren from Nanosight shows us to their new system for measuring zeta potential of nanoparticles. The Zetasight is able to measure zeta potential of each individual nanoparticle as well as being able to produce detailed particle size distribution data. Warren Oliver, President of Nanomechanics, gives AZoTV an introduction to Nanomechanics and their inSEM mechanical properties measurement tool at MRS Fall 2012 in Boston. 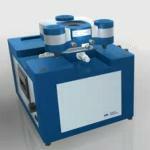 The brand new SZ-100, nanoparticle size analyzer/characterization system was on show at Pittcon 2011. 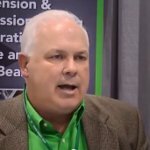 Mark Bumiller from Horiba introduces us to the latest addition to their particle size analyzer lineup. XEI Scientific manufacture the Evactron plasma decontamination systems. 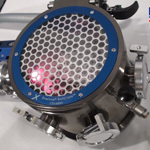 Tom Levesque explains how they can be used as a benchtop unit or on instruments such as scanning electron microscopes (SEM), transmission electron microscopes (TEM) or focused ion beam systems (FIB). In these applications they can be used to clean samples or chambers, removing organic contaminants or hydrocarbon residues. 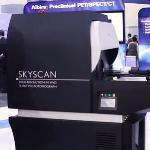 In this video Mat Brevard, Vice President –Bruker Preclinical Imaging talks about the newly introduced SKYSCAN 1176 high resolution microtomograph. 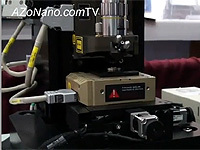 A Bruker AXS customer, the College of Nanoscale Science and Engineering at University of Albany - SUNY, appeared with their Bruker AXS instrumentation on Fox's NanoNow TV with Professor Richard Matyi, CNSE. 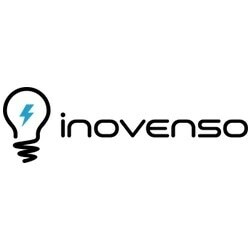 Inovenso presents the Electrospinning Starter Kit, a budget-friendly, compact and easy-to-use device. 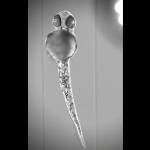 This video shows how the Carl Zeiss light sheet fluorescence microscope system images the heart of a 2-day old zebrafish over long periods of time, providing maximum frame rates with reduced light exposure. From the Archives: The TC-30 was C-Therm's (formerly Mathis Instruments) second generation of thermal conductivity instrumentation which was eventually replaced with the TCi's modified transient plane source technique.